Agricultural biomass as an energy source is a system of interdependent components. Economic and technical viability of this system relies on a guaranteed biomass feedstock supply, effective and efficient conversion technologies, guaranteed markets for the energy products, and cost-effective distribution systems. One of the most important factors in the efficient utilization of agricultural biomass resource is its availability in close proximity to a biomass power project. 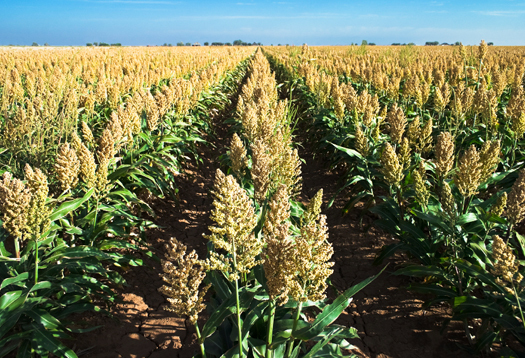 An in-depth evaluation of the available quantity of a given agricultural biomass resource should be conducted to determine initial feasibility of a project, as well as subsequent fuel availability issues. The primary reasons for failure of agricultural biopower projects are changes in fuel supply or demand and changes in fuel quality. Identification of quality and quantity of biomass and delivery costs for its year round supply. Resource assessment based on available biomass species, annual yield variations, environmental factors, seasonality and competitive demands. Development of regional and national strategies for locating biomass power plants and organization of biomass supply chains with respect to cost and availability. Biomass feedstock cost constitutes about 35-50 percent of the total production cost of power. The actual percentage depends upon agricultural biomass species, yield, location, climate, local economy, and the type of systems used for harvesting, gathering and packaging, processing, storage, and transportation. Biomass can be collected in a distributed system at the agricultural farms. The collected biomass is transported either a short distance (10-40 km) or a long distance for storage and/or pre-processing. Preprocessing may include one or a combination of several of size reduction, fractionation, sorting, and densification. The storage of wet biomass may also impart biochemical and physical modifications to the biomass termed as in-store pre processing. The preprocessed biomass is transported to the biopower facility or biorefinery where it is fed directly into the conversion reactor. 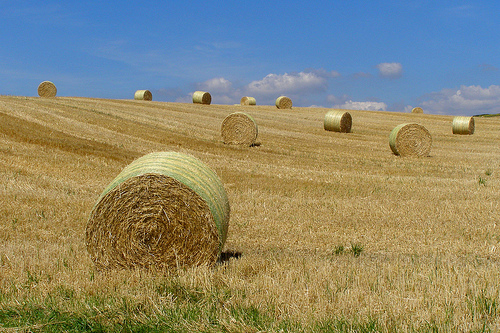 Agricultural biomass is costly to collect, process, and transport to biomass power plants. There are three important steps involved in the conversion of agricultural waste streams into useful energy. In the first step, the biomass must be prepared for the energy conversion process. While this step is highly dependent on the waste stream and approach, drying, grinding, separating, and similar operations are common. In addition, the host facility will need material handling systems, storage, metering, and prep-yard systems and handling equipment. In the second step, the biomass waste stream must be converted into a useful fuel or steam. Finally, the fuel or steam is fed into a prime mover to generate useful electricity and heat. The moisture content of the resource is a primary factor used to select a biomass waste-to-fuel conversion technology.